The oldest English non-conforming sect arose from the followers of Robert Browne (1550–1633), who held that a meeting of a number of Christians in one place constituted a church, and did not require episcopally ordained ministers or consecrated buildings. The term Independent predominated in the colonies, but the alternative was adopted on the formation of the Congregational Union of England and Wales in 1832, and that of the Congregational Union of Van Diemen's Land in 1836. Both Unions adopted the voluntary principle, rejecting any form of state aid to religion. Independent settlers and convicts were present in Tasmania from an early date, and the Rev John Williams of the London Missionary Society preached in 1817 en route to his service in the South Pacific. An auxiliary of the interdenominational but Independent-minded Society was set up in Hobart Town in 1826, and became the Van Diemen's Land Home Missionary and Christian Instruction Society in 1834. Sarah and Henry Hopkins, the most significant Independent settlers, arrived in 1822. In response to their request, the Rev Frederick Miller (1806–62) was sent in 1830 from Highbury College in London to become the first settled Independent minister in Australia. His difficulties led to the sending out of a number of ministers to assist, including John Nisbet, Joseph Beazley, Alexander Morrison, John West and Charles Price. Price arrived in 1832, but was not wanted in Hobart Town, failed to establish a church in Launceston, and left the island, returning to Launceston in 1836, where he ran a school and ministered until his death. The arrival of John West in Launceston led to a schism in Price's Tamar Street congregation, and the setting up of St John's Square Chapel in 1839. 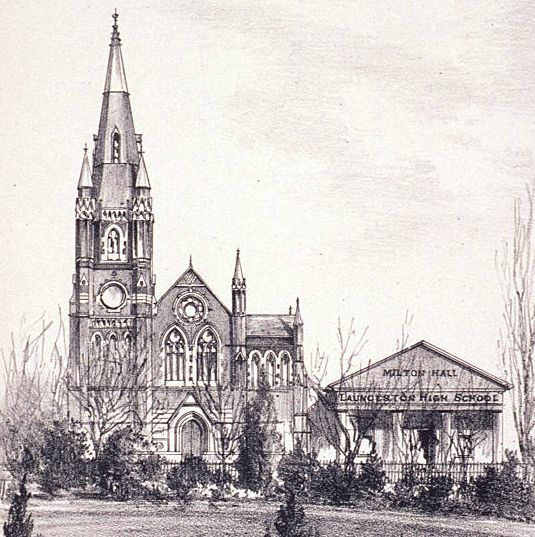 Due to the efforts of the ministers, with financial support from Hopkins, Congregational chapels became widespread in southern Tasmania, but not in the north, where Baptists were more prevalent, except in Launceston and at the Forth River. Prominent lay Congregationalists included the Waddell and Button families, including William Button, first Mayor of Launceston and Henry Button, author; historian James Fenton; pharmaceutical manufacturer Landon Fairthorne; lawyer Henry Jennings; and James Aikenhead, co-founder with West of the Launceston Examiner. Congregationalism suffered a decline during the twentieth century, relative to the success of Methodism and later of the Baptists, probably largely due to an intellectual rather than an enthusiastic tendency. The majority of congregations entered the Uniting Church in Australia on its formation in 1976; the few that did not, have not survived. Further reading: T Sharples, Congregationalism in Tasmania 1830–1977, Hobart, 1977; P Ratcliff, The usefulness of John West, Launceston, 2003.